Posted on August 24, 2018 by Lisa B.
I hope you’ll be joining us for our last meeting of the 2017-2018 year. It’s our 6th birthday and we have lots of fun planned! Sue Kaiser and Cindy Reynolds will have destash items for your shopping pleasure. 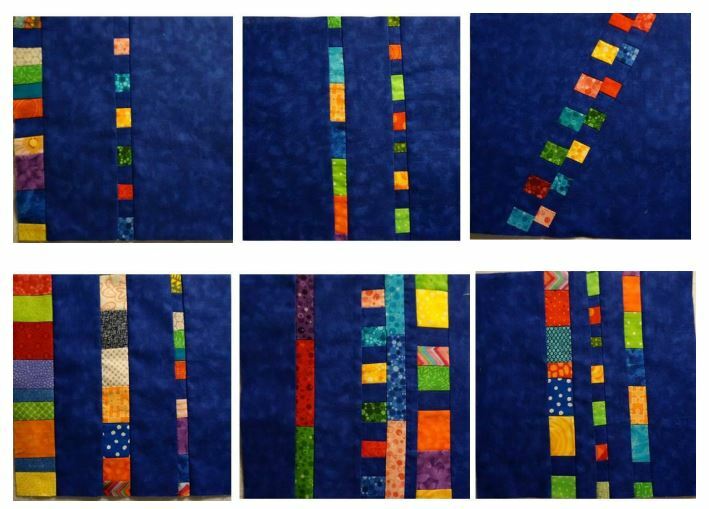 If you signed up for the MQG Michael Miller challenge the fabric is here! Betty will be passing it out at the meeting. Membership Dues will be collected starting this month. Dues have increased from $30 to $35 for the 2018-2019 year. 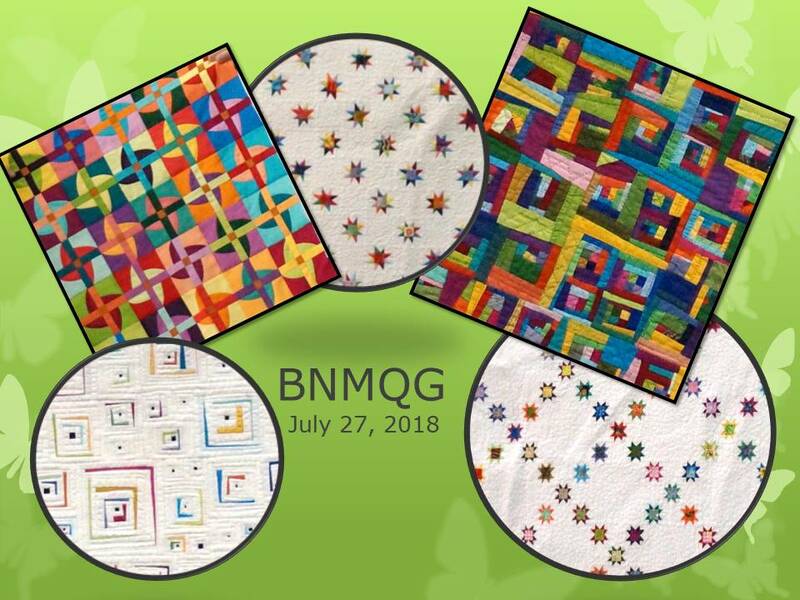 And finally, bring your blocks for the BNMQG Mystery Quilt Design Night! Remember, you can bring block lotto blocks for design help too! Posted on August 11, 2018 by Lisa B. 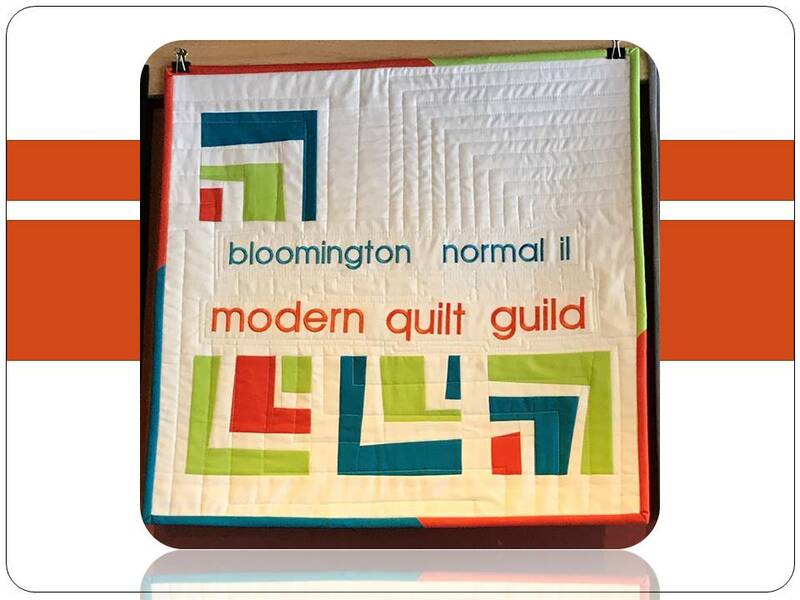 The Bloomington-Normal Modern Quilt Guilt met Friday, July 27, 2018 at Christ Lutheran Church. We had forty-one (41) members in attendance and nine (9) guests. Thanks to Sue K., Lynn H. and some of the board members who provided our refreshments for the evening. During our social time there was a slideshow of the Modern Quilt Guild’s Charity quilts from last year. President Kathy C. welcomed everyone to our July meeting. She introduced our guest speaker for the evening, Lynn Carson Harris from the Ann Arbor Modern Quilt Guild. Lynn is also doing a workshop on Saturday, July 28th. If you are planning to attend QuiltCon but not registering for any lectures or workshops please at least register for the 4-day show pass – it’s free if you register before November.